W all-to-wall carpeting and area rugs are the most popular types of textile floor coverings sold on the marketplace today. These rugs normally come with a pile layer that is made in an open-loop or closed-loop pattern. When the closed-loop weaves are sheared open, this creates the velvety textures on soft bathroom rugs, the springy feeling textures on room-sized rugs and the longer tasseled shag floor coverings that are so popular today. Professional flooring stores carry complete lines of wall-to-wall carpeting, room-sized rugs, and area rugs. Each one of these rug categories offer consumers thousands of options in carpets for their homes, businesses or industrial complexes. There is indoor-outdoor carpeting for decks and marine-grade carpeting for boats or indoor swimming pool rooms. The professional flooring stores offer every type of rug imaginable. 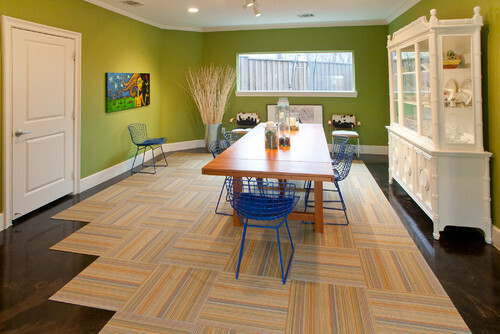 Many of the rugs that consumers are searching for are found in the area rug categories. Homes that have wall-to-wall carpeting, vinyl floors, hardwood flooring or laminate floors installed will often use various types of area rugs to reinforce high-traffic areas. It is possible to get fashionable braided rugs, lush Persian or Armenian carpets, fun dorm room rugs and artisan-inspired rug creations for every location in any type of home. Winter carpet cleaning : The winter season means many different things to many different people: festive holidays, skiing or snowboarding, playing in the snow, and dirty carpets. Wait a minute, what was that last one? Yes, winter brings rain, mud, snow and salt – a nightmare for anyone with carpet in their homes. You don’t have to resign yourself to perpetually dirty carpets however, read on to learn carpet cleaning tips for the winter months. Winter House Maintenance: If you live in a cold, snowy region, or anywhere that gets a lot of rain during the winter, you already know that winter brings its own special carpet cleaning obstacles. Regular cleaning and maintenance to your carpet must be done, not only to prevent staining and damage to carpet fibers, but to keep your home free from dirt and other unhealthy particles, and keep your family healthy. Very first line of defense in protecting your carpet during the winter is to place doormats inside and outside all main traffic areas into and out of your home. You’d be surprised at how much salt, sand, chemicals, and mud your heavy-duty doormats can remove with just a few swipes of shoes and boots. Doormats also act as a visual reminder to kids (and adults) to stamp their feet and remove some of the drudge from their shoes before actually entering the house. Winter carpet cleaning doesn’t stop at the doormat, however. Stay on top of the problem by shaking out all doormats every day, and sweeping and/or vacuuming all entryways and common areas to remove any loose dirt, sand, rock salt or other debris that has been tracked inside. If you notice any spots where melting snow, salt or chemicals have taken their toll, try spot-cleaning the area with a clean, damp rag and dish soap or carpet cleaner (before you try to remove any type of stain, always test the cleaning solutions you will be using on an inconspicuous part of the carpet before using them on a large area). Be careful not to rub the stain and risk spreading it to a larger area; instead, blot the area with your clean towel, using a clean area of the towel each time you blot. Drop Sugar to Create Optimum Health!